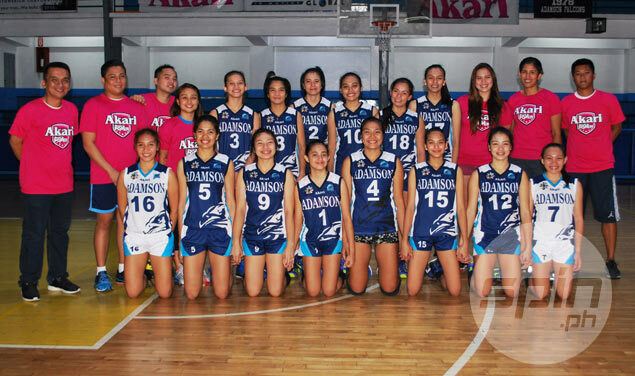 THE Adamson Lady Falcons bolstered their lineup, albeit on the sidelines and not on the playing court, with the appointment of seasoned volleyball players Cherry Macatangay and Michele Gumabao as assistant coaches for its run in the UAAP Season 78 women's volleyball tournament that opens this weekend. Macatangay is no stranger to the Lady Falcons, and the former Adamson star spiker is more than grateful to pay back her alma mater and pass on her expertise to the young squad as one of the assistants of head coach Sherwin Meneses. "It's a sort of homecoming for me. I am glad I am given this opportunity to again wear my alma mater's colors in another capacity," said Macatangay, who has received several accolades in both local and international arenas, including the Shakey’s V League 2005-2006 MVP Award and the league’s Best Scorer of its 2004-2005 2nd Conference, 2005-2006 and 2006-2007 2nd Conference. "I will help the team in whatever way I can. We are building up and hopefully we can reach our goals as a team," added the former national team stalwart, who was part of the SEA Games silver and bronze medal winning squads in 1995, 2001, 2003, and 2005. Joining Macatangay as co-assistant coach is new Akari brand ambassador and former La Salle star Gumabao, who welcomed the opportunity even as the decision caught her off guard at first. "It was also a surprise for me, but as an athlete, I face every challenge with pride and motivation. Hopefully, I can help Adamson reach new heights in volleyball," said Gumabao, one of the most prominent faces in Philippine volleyball today who has won numerous awards in her UAAP playing years (UAAP Season 75 Finals MVP, two-time Best Blocker in UAAP Seasons 73 and 74, and three-time champion in UAAP Seasons 73 to 75) as well as in her PSL stint (2015 PSL All-Filipino Best Opposite Spiker and 1st Best Opposite Spiker of 2015 PSL Grand Prix). This move is just one among the many initiatives Adamson and Akari, a top lighting and electrical brand that supports the school's women's volleyball and men's basketball teams, have outlined to help the team in their quest for the crown. “Sports development for today’s youth is one of our brand’s core values and this is why we are supporting the Lady Falcons in their journey to become rightful contenders,” says Russell Balbacal, Akari Lighting and Technology sports director. “The appointment of seasoned volleybelles Cherry Macatangay and Michele Gumabao as part of the Lady Falcons’ coaching staff will greatly help the team to further improve their overall performance and hopefully clinch the championship title in the upcoming UAAP Season 78,” he added.